A story of 2 Bishops, 7 weddings, and 9 funerals – the struggle of life and love in the 19th century. If you’re not a fan of Hugh Grant films, then don’t worry – today’s blog post is actually a story of a struggle for life and love in the 19th century. As the title suggests, this probably isn’t going to be the most cheerful thing you’ve read today. Only just a few weeks ago, some incomplete ‘parked’ research into two ancestors of mine (a father and a son), had suddenly moved from two male ‘Ag Labs’ in Cambridgeshire whose wives predeceased them, leaving them with several children, to two men who between them, married a further 5 times, and traveled across three counties. I’d previously parked these two: John Bishop and his son Simpson, as the names connecting to ‘John Bishop’ in the small group of villages that he lived in, were all very similar and seemingly overlaping. Similarly, Simpson Bishop occasionally appears as ‘James’ or ‘James S Bishop’ or variations on ‘Simpson’ (eg. Simson, Samson etc). Whilst trawling through the Soham registers, I decided that I needed to map this puzzle out, so took each event with similar names and close dates and used a kind of card-sorting technique with post-it notes, each carrying a name, date, and event. Breaking down a complicated set of names and dates using ‘card sorting’ for John Bishop’s timeline via Post-Its on a wall. 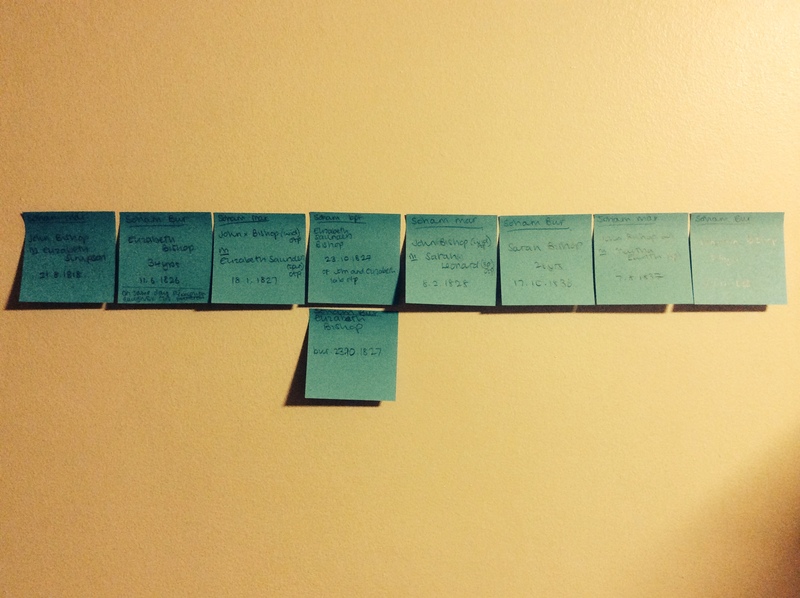 Having written all the names and event dates onto the post-its, I used each piece of evidence in turn to get them into order. The baptism, marriage, and burial registers were useful, as well as census returns. Also invaluable here, was to keep an eye on the witnesses at marriages – as these also helped sort the events into an order. With this done, and post-its on my wall, i realised that I’d just grown some new branches where I thought there were none. John Bishop was born on 1st May 1795 in the Cambridgeshire town of Soham. He was the second of the eight children of Joseph Bishop and his wife Elizabeth (née Clements). He was also my 5x Great Grandfather. Like his father, John worked in agriculture – a manual labour in the dark, flat, rich and fertile fenland that surrounded where he lived. In 1818, when he was about 22 years old, he married 24 year old Elizabeth Simpson (also of Soham) and the couple settled down to life together. It’s pretty clear that at the time of marriage, Elizabeth was already pregnant with their first child, my 4x Gt Grandfather, Simpson Bishop. John Bishop would become a frequent visitor to Soham’s St Andrew’s Church. Photo: Steve Day via CreativeCommons. With Simpson being born in the latter part of 1818, the couple remained in Soham, where they went on to have a second son, John, in 1823. Elizabeth fell pregnant again in 1825, this time with the couple’s first daughter, but by the time that she (Elizabeth) was born in 1826, her parents’ lives were about to change for the worse. Seemingly, either during or shortly after baby Elizabeth’s birth, Elizabeth, the mother, died. She was just 34. She was buried at Soham on 11th June 1826, on the same day as her daughter’s baptism. This left 31 year old John Bishop as a widowed labourer with three young children in need of his care. The grief must have consumed him, but it didn’t stop there – by the August, baby Elizabeth followed her mother to the grave. 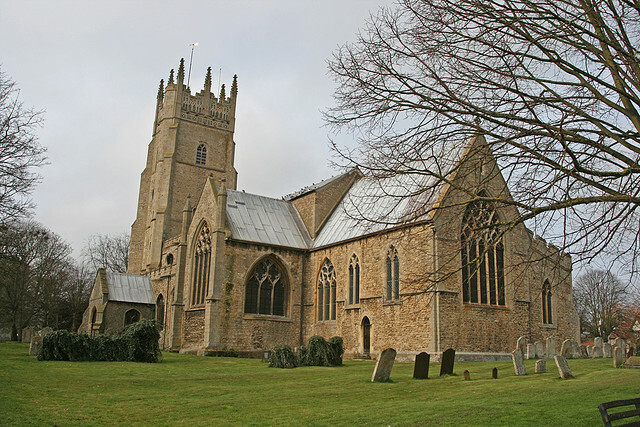 Five months later, in January 1827, John walks down the aisle of Soham church with his second wife, Elizabeth Saunders. She fell pregnant shortly after their marriage, but again, bad luck was set to strike. Elizabeth gave birth to baby Elizabeth Saunders Bishop in 1827, but again, it appears that Elizabeth died during or shortly after childbirth. She was buried on 23rd October 1827 at Soham, once again – the same day that her baby Elizabeth was baptised. Sadly, within a year, this baby also followed her mother to the grave. John, at the age of 33 had married twice, been widowed twice, fathered four children, and buried two of them. Four months after his second wife died, John returned to church, this time to marry Sarah Leonard, who was fifteen years his junior on 8th February 1828. Their first child, Henry Bishop, was baptised at Soham in April 1829. Thankfully both he and Sarah survived, with Henry going on to move from the fens of Cambridgeshire, getting married, and moving to Great College Street in Islington, London by the 1880s. John and Sarah continued to have three more children; Mary (who died as an infant), William (who survived and lived next-door to Henry in later life), and Sophy (who died as an infant). After 8 years of marriage to Sarah Leonard, John (now 41) was widowed again in 1836 – when Sarah was just 26 years old. She was buried in Soham on 17th October 1836. Less than a year later, John appears to embark on his fourth and final marriage – this time to Martha Earith, 17 years his junior – on 7th August 1837. However, 8 months later, Martha died, aged 26 years. There is no indication of whether the couple had a child, or whether Martha was pregnant, but it appears that after 42 years of life in the fens, John never remarried. He died in May 1868, aged 73 years. Sadly for Simpson, that oldest child of John Bishop and Elizabeth Clements above, he didn’t escape his own share of bad luck. By the time that his father had remarried 3 times, and he’d witnessed the deaths and burials of 3 step-mothers, and three half-sisters, Simpson was 20 years old. A few years later, in December 1840, he married Elizabeth Taylor, also of Soham, and by 1842, they became parents to my 3x Great Grandfather, James Simpson Bishop (a nod to the baby’s grandmother). Six further children were born to the couple, during which Simpson worked as a labourer, and a malster. During 1851, Simpson takes his family to Little Wapses farm in Twineham, Sussex (presumably as tenant farmers), but they return to Cambridgeshire by 1861, by which time Simpson has become a shepherd. However, Elizabeth dies at some point between 1858 and census night in 1861, in her early forties. There’s a few certificate options here, so i’m busy looking for more clues (newspaper reports, marriage witnesses etc) before ordering a certificate. On 19th June 1861, at Newmarket Register Office, Simpson marries his second wife, Elizabeth Ellinor, a 36 year old daughter of a labourer from nearby Burwell. Whilst researching, I jumped ahead to 1871 to see where Simpson and Elizabeth were, but couldn’t spot them. I eventually found widower Simpson and his four youngest children living in Reedsholme near Crawshawbooth, Higher Booths, Lancashire – and all employed by the local cotton industry at Reedsholme Works. 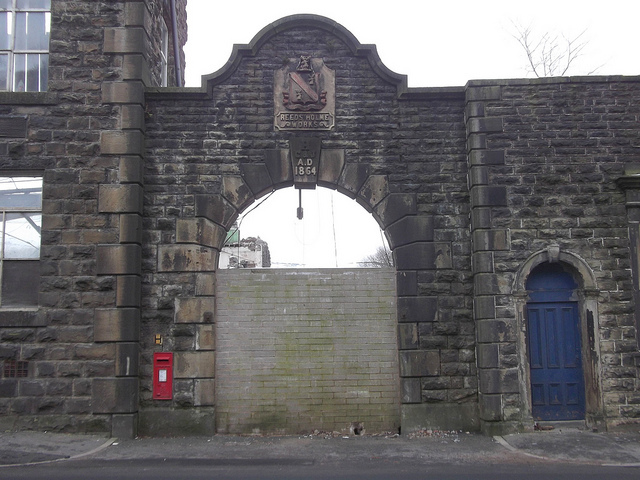 The remnants of Reedsholme Works, where Simpson took his family to work by 1871. Photo: Robert Wade via CreativeCommons. William to Sarah Swann, who went on to have at least 5 children, and at the time of the 1871 census are living in Little Marsden, Lancashire. Ann Elizabeth to George Eve. It even seems that in 1875, whilst the family were up in Reedsholme, daughter Keziah died aged 22. I’ll order her death certificate out of curiosity to see whether it was due to work – as on the 1871 census, she is noted as a ‘Cotton Weaver’. I found that Simpson, returned to church when on 25th January 1868, he married his third wife Sarah Washington. However, she’s missing from the 1871 family group (presumably dead too), and it’s not clear whether Simpson is married actually on the folio. Simpson joins Sarah in my research as ‘currently missing’ after the 1871 census, but I hope to find the final steps of his journey. Did Sarah survive or did Simpson marry again? A journey that I thought I’d finished with him and his father a long time ago, back somewhere in Cambridgeshire… but which then proved to take me through unexpected twists and turns. Thanks for reading… I’ll post an update once i’ve got further with Simpson and Sarah, but in the meantime; have you ever used card-sorting to solve a family tree puzzle? Do you have ancestors who worked at Reedsholme Works, or in the cotton weaving industry? Leave me a comment below – as i’d love to hear from you.